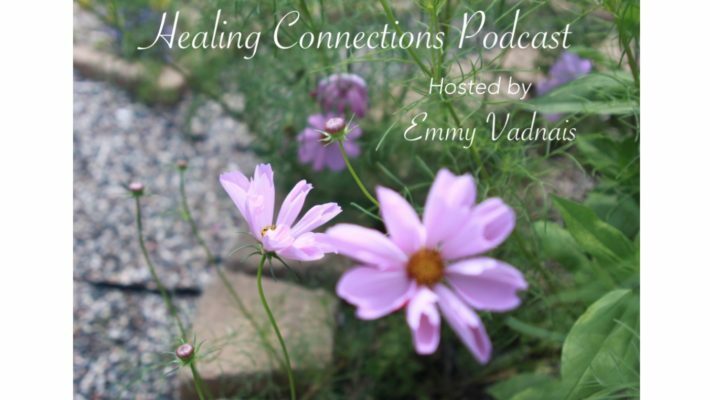 Emmy Vadnais, OTR/L interviews thought leaders and health care practitioners about integrative health, wellness, prevention, spirituality, and consciousness. 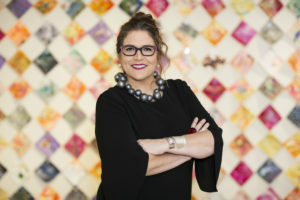 Episode 11 – Anne Labovitz was interviewed by Emmy Vadnais, OTR/L about “Love, Art & Healing” on the Healing Connections Podcast episode 11 on 2/7/19. Labovitz is an American artist based in St Paul, Minnesota, whose practice includes painting, drawing, and printmaking as well as experimental film and sound. Labovitz has a degree in psychology and art from Hamline University in St. Paul and a Masters in Fine Art from Transart Institute via Berlin and New York. Her work considers many themes often returning to the central notion of an enduring interest in people—the human spirit, its emotional resonance, and the way it manifests in relationships. Music by Steven C. Anderson: “Temporary Spacesuits” from the album “Spiritual Piano.” Learn more about or collaborate with Anne Labovitz. Episode 9 – Emmy Vadnais, OTR/L interviews Dr. Wayne Jonas about “How Healing Works.” Dr. Wayne Jonas is a practicing family physician, an expert in integrative health and health care delivery, and author of “How Healing Works.” Dr. Jonas is currently the Executive Director of Samueli Integrative Health Programs, an effort supported by Henry and Susan Samueli to empower patients and doctors by providing solutions that enhance health, prevent disease and relieve chronic pain. 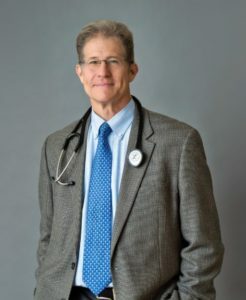 He has served in the roles of Director Office of Alternative Medicine at the NIH, Director of the World Health Organization Center for Traditional Medicine, and as the President and Chief Executive Officer of Samueli Institute. Music by Steven C. Anderson: “Letting Go” from the album “Spiritual Piano.” Learn more about Dr. Jonas. 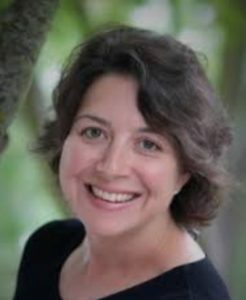 Episode 8 – Emmy Vadnais, OTR/L interviews Rebecca Austill-Clausen, MS, OTR/L, FAOTA about “Healing with Spiritual Communication and Reiki.” Rebecca or “Becky” Austill-Clausen is an award-winning author and Occupational Therapist. In 1995, Rebecca had a Spiritual Transformative Experience when she discovered her ability to communicate with her 37-year-old brother who died. She became a Reiki Master and has been teaching Reiki to OT practitioners at the AOTA Annual Conference each year since 2015, at university medical professional programs, and state conferences. Music by Steven C. Anderson: “Time/Peace” from the album “Past to Presence – Mellow.” Learn more about Becky. 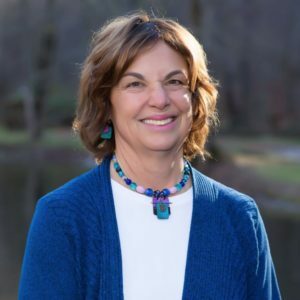 Episode 7 – Emmy Vadnais, OTR/L interviews Betsy Shandalov, OTR/L, C-IAYT about “Yoga to Heal the Healer.” Betsy has been an occupational therapist for 25 years and a yoga therapist for 10 years, with her certification through the International Association of Yoga Therapists. 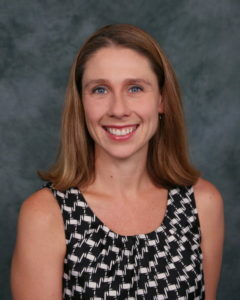 She treats adults and children in a variety of healthcare and educational settings and in private practice. Music by Steven C. Anderson: “Above the Clouds” from the album “Past to Presence – Mellow.” Learn more about Betsy and her practice. 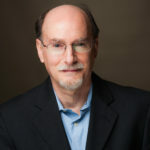 Episode 6 – Emmy Vadnais, OTR/L interviews Dean Radin, PhD about “Science, Magic, and Intuition.” Dean Radin, PhD, is Chief Scientist at the Institute of Noetic Sciences and Associated Distinguished Professor of Integral and Transpersonal Psychology at the California Institute of Integral Studies. Music by Steven C. Anderson: “Something Above and Beyond” from the album “Past to Presence – Mellow.” Learn more about Dean and his scientific contributions. Episode 5 – Emmy Vadnais, OTR/L interviews Deborah Rogers, OTR/L an Occupational Therapist and Reiki Master who practices integrative medicine for pain management, prompted by her own physical injuries and resulting chronic pain. Deborah shares her story of injury, pain, and recovery and what may help people “Come back from pain.” Music by Steven C. Anderson: “Angel Eyes” from the album “Healing Piano.” Learn more about Deborah and her practice. Episode 4 – Emmy Vadnais, OTR/L interviews Tina Gilberti, FDN, OTR/L an Occupational Therapist for over 20 years and a Functional Diagnostic Nutrition Practitioner. She is passionate about helping her clients get to the root of their symptoms, identifying hidden imbalances and stressors and developing protocols to optimize their health and wellness. Tina has created an online Holistic LENS training program for OT’s to help them identify and address Lifestyle, Environmental, Nutritional and Stress factors impacting on their clients’ conditions. Music by Steven C. Anderson: “Blue & True” from the album “Past to Presence – Mellow.” Learn more about Tina and her practice. Episode 3 – Yoga is becoming more popular in health care. 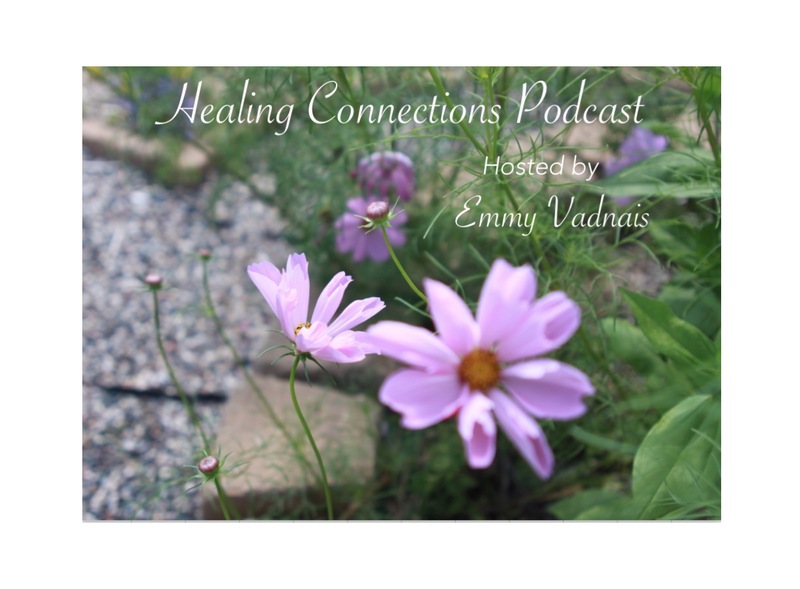 Emmy Vadnais interviews Mandy Lubas, OTR/L, RYT, AWC – an Occupational Therapist, Yoga Therapist, and Ayurvedic Wellness counselor about Yoga and the 8 Limbs. She shares how it has helped her with her personal health care and in her health care practice. Music by Steven C. Anderson: “Angel Eyes” from the album “Healing Piano.” Learn more about Mandy and her practice. 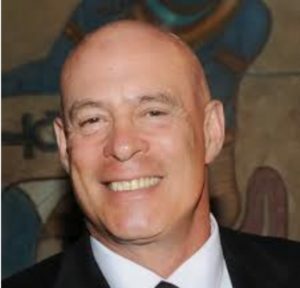 Episode 2 – Emmy Vadnais, OTR/L interviews Dan Eisner, OTR/L who specializes in Mindfulness & Emotional Intelligence Development, and how these skills can improve both personal and professional outcomes. He is the author of The Clinical Success Formula, a practical, evidenced based guide designed to empower the reader and the service they provide. The newly released book has already become required reading in top OT programs including Tufts and Washington University. Dan speaks regularly at universities and healthcare conferences, and has received rave reviews around the topic of How to Support Yourself While Caring for Others. He also works as a Psychiatric OT at the University of MD Medical Center, and works with private clients at Dan Eisner Consulting. Music by Steven C. Anderson: “Angel Eyes” from the album “Healing Piano.” Learn more about Dan and his practice.